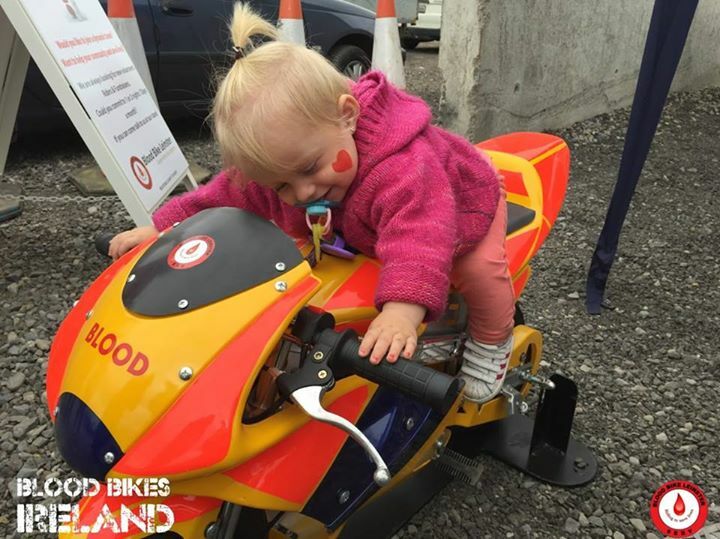 Coolronan Raceway, Hope for Cian fundraiser. 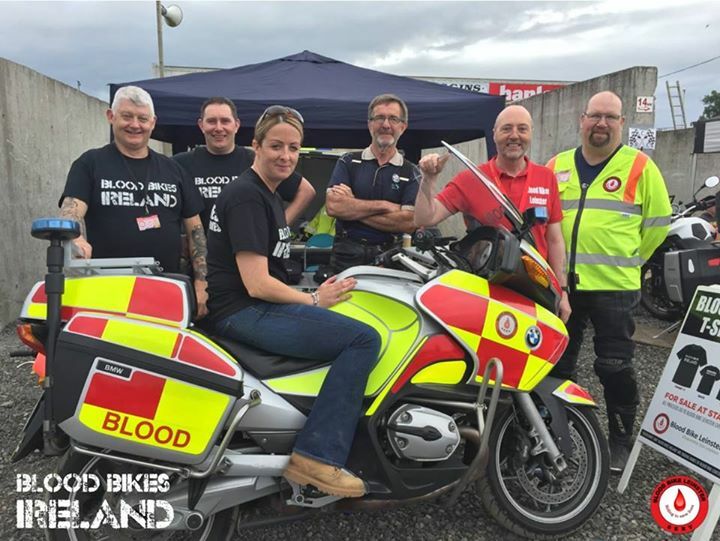 Blood Bike Leinster had a fantastic day at the Hope for Cian fundraiser. 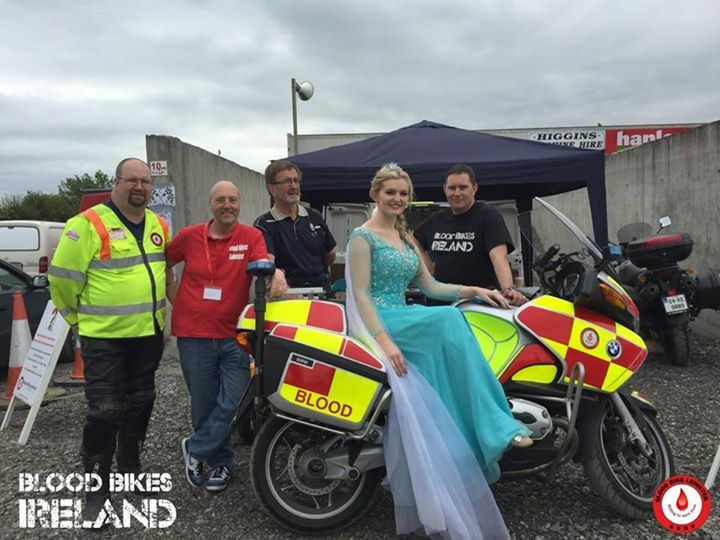 We say a great community spirit come out and support Cian. 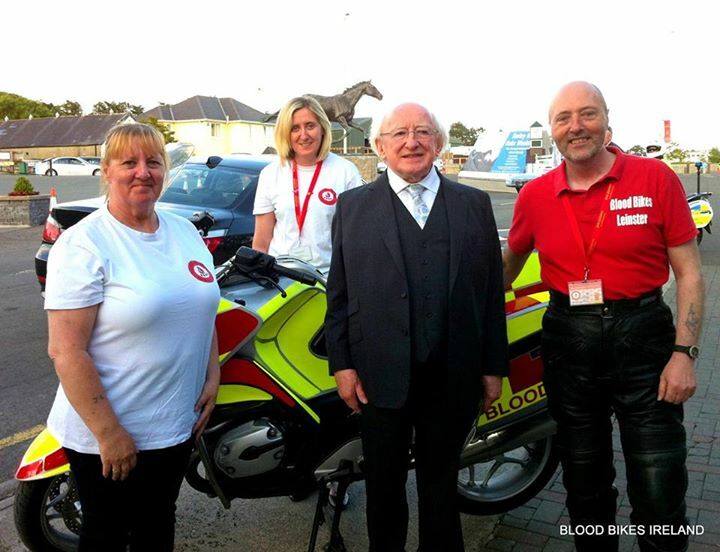 Great to meet Michael D Higgins and talk to him about the work of Blood Bike Leinster. Another fantastic year at the VJMC show is the National show centre. 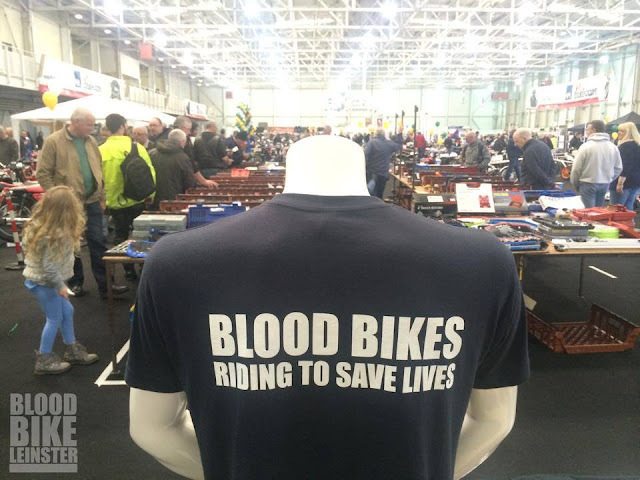 Some really amazing bikes on display. 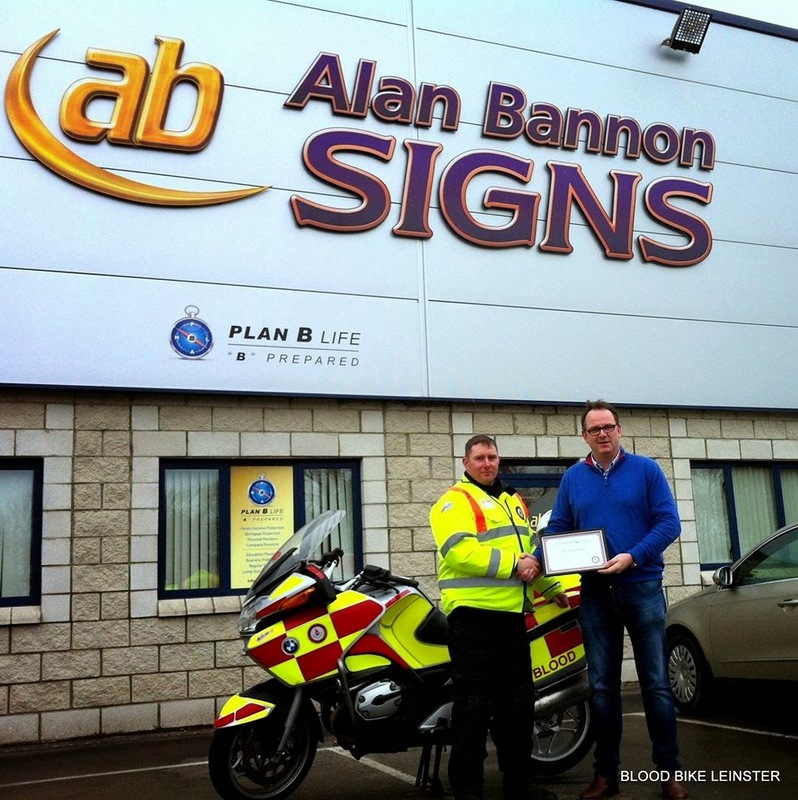 Alan Bannon being presented with a Certificate of Appreciation for the support he has shown Blood Bike Leinster. Many thanks to Platinum Motorcycles who look after our fleet of motorcycles. 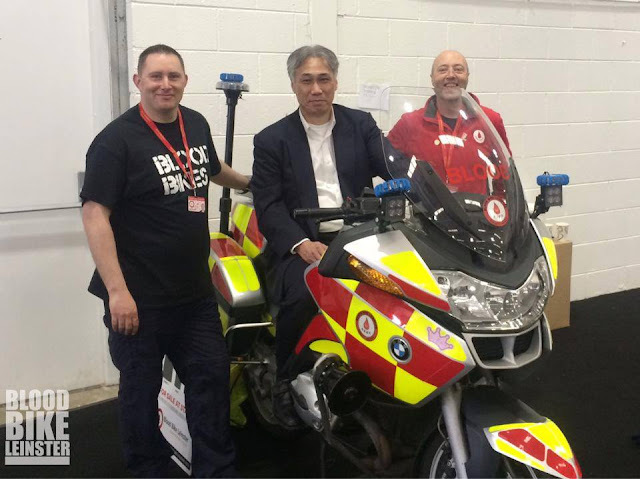 Our fleet has to be in top shape due to the work we do, and Platinum give us the confidence to know that they are in the best condition. 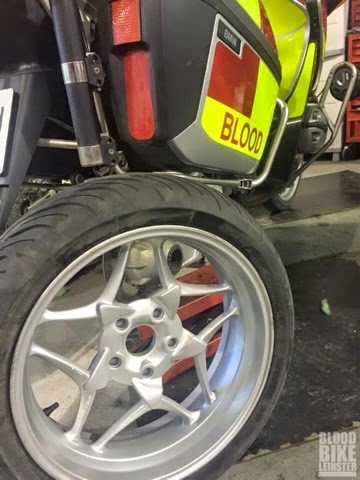 Also many thanks to EcoBlast for power coating our wheels. Aoibheann is sparkling again. 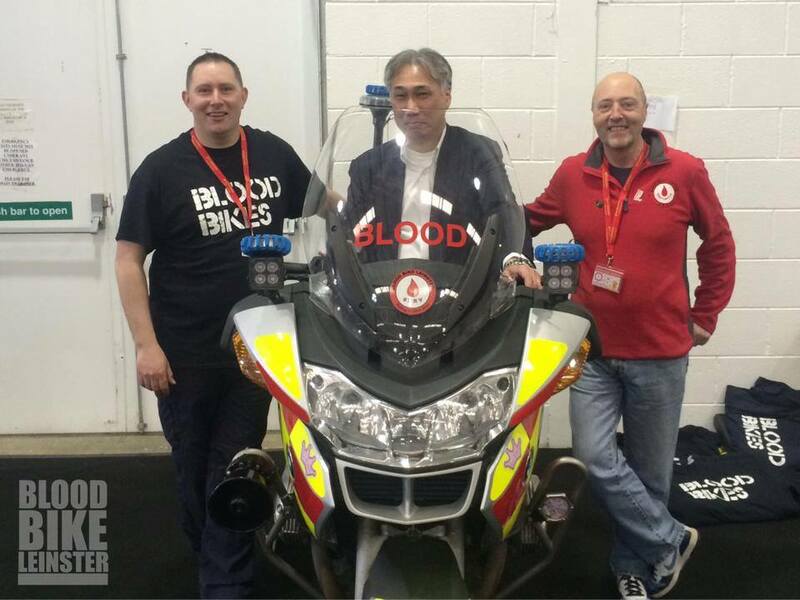 Blood Bike Leinster featured in the Liffey Champion this weekend. 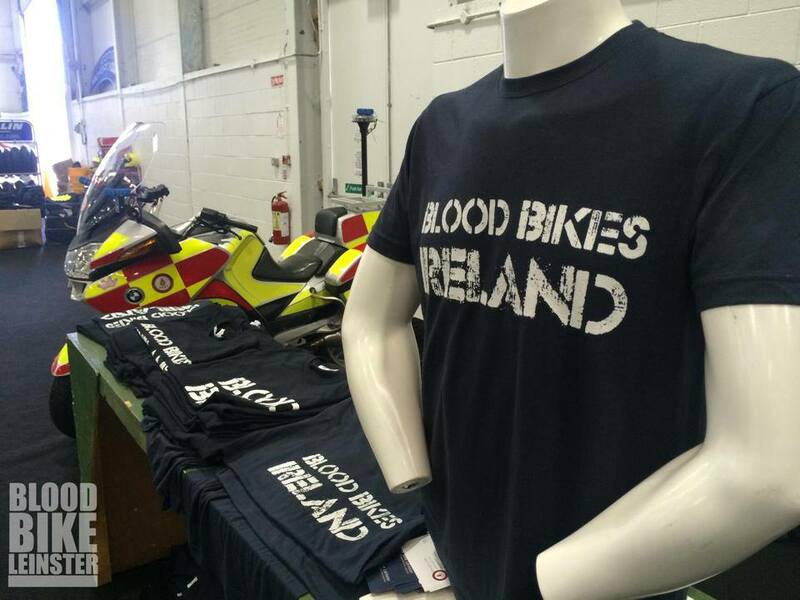 We are extremely grateful to Leixlip Friends for their support. We would also extend a special thanks to Damien Stafford who always goes the "extra mile" to serve his community. Fergus Lennon talks to Shane about the need for a premises in the Kildare area.